Arms sales by the world’s top 100 defense contractors rose last year for the first time since 2010, reports Bloomberg. The Stockholm International Peace Research Institute says total sales of arms and military services rose 1.9 percent from 2015 to 2016 reaching $374.8 billion. That’s a 38 percent increase since 2002, when the institute first began reporting corporate arms sales. The University of Maryland Unmanned Aircraft System Test Site announced the acquisition of 11 TigerShark vehicles to enhance and expand the site’s long-range testing efforts, reports UASWeekly.com. The US Air Force’s Air Education and Training Command said last week that although its new Pilot Training Next program will include some enlisted airmen, it is not intended to create enlisted aviators, reports Air Force Times. The Air Force says it is focused solely on studying how airmen learn. The White House is urging China to turn off oil supplies to North Korea, reports NBC News. “You cannot shoot a missile without fuel,” said Lt. Gen. H.R. McMaster, US national security adviser. Many analysts say such a move would have minimal impact on North Korea’s nuclear and missile programs and would instead hit the country’s agricultural sector. Japan is responding to North Korea’s ballistic missile and nuclear weapons programs by adding air-launched cruise missiles to its arsenal, reports Warrior Scout. Ellen Lord, under secretary of defense for acquisitions, technology, and logistics, believes the Defense Innovation Unit Experimental, or DIUx, is a good example of how DoD should be tackling acquisitions reform and is hoping to scale up the organization’s successes, reducing procurement times, and saving a lot of money, reports Defense Systems. Essye Miller has taken over the role of acting chief information officer at DoD, reports Federal Times. Ms. Miller will be the primary adviser to the secretary of defense for matters of information management, information technology, and information assurance, as well as non-intelligence space systems; critical satellite communications, navigation and timing programs; spectrum; and telecommunications. The USS Michael Monsoor, the second stealthy destroyer being built for the Navy, cut short its first sea trials last week because an equipment failure prevented testing of propulsion and electrical systems under full power, reports The Associated Press. The Los Angeles-class, nuclear-powered attack submarine Dallas — used in the 1990 film, “Hunt for Red October,” based on a book by Tom Clancy — has been retired, reports Navy Times. The US Naval Academy Mids will host the Virginia Cavaliers on Dec. 28 in the Military Bowl presented by Northrop Grumman, reports Army Times. This will be Navy’s third appearance in the contest, and its second since the game moved from Washington, DC, to Navy-Marine Corps Memorial Stadium in Annapolis in 2013. 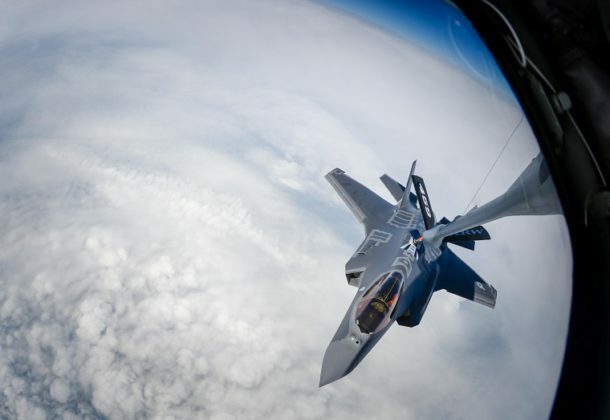 Lockheed Martin Corp., Manassas, Virginia, is being awarded a $77,706,749 indefinite-delivery/indefinite-quantity contract for cyber security support services to sustain the analysis, design, development, test, integration, deployment and operations of information technology systems and services for the cyber security workforce. Work will be performed in China Lake, California (80 percent); Point Mugu, California (10 percent); Norfolk, Virginia (7 percent); and Patuxent River, Maryland (3 percent), and is expected to be completed in December 2022. Fiscal 2018 working capital funds (Navy) in the amount of $2,292,477 are being obligated at time of award, none of which will expire at the end of the current fiscal year. This contract was competitively procured via an electronic request for proposals, five offers were received. 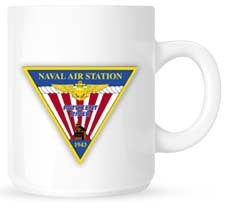 The Naval Air Warfare Center Weapons Division, China Lake, California, is the contracting activity (N68936-18-D-0014). Bath Iron Works, Bath, Maine, is being awarded a $23,902,104 cost-plus-award-fee modification to a previously awarded contract (N00024-12-C-2313) for DDG 51 Arleigh Burke-class lead yard services. This work will provide engineering and technical assistance for new construction DDG 51 class ships. Lead yard services include liaison for follow ship construction, general class services, class logistic services, class design agent services, continuation of the DDG 51 Arleigh Burke-class Flight III upgrade design efforts and class change design services for follow ships. Work will be performed in Brunswick, Maine (50 percent); Bath, Maine (48.5 percent); Washington, District of Columbia (1 percent); and Pascagoula, Mississippi (0.5 percent), and is expected to be completed by June 2018. Fiscal 2014 shipbuilding and conversion (Navy) funding in the amount of $17,890,750; fiscal 2012 shipbuilding and conversion (Navy) funding in the amount of $4,168,977; fiscal 2013 shipbuilding and conversion (Navy) funding in the amount of $269,026; and fiscal 2016 shipbuilding and conversion (Navy) funding in the amount $263,366 will be obligated at time of award and will not expire at the end of the current fiscal year. The Naval Sea Systems Command, Washington, District of Columbia, is the contracting activity. Rockwell Collins Simulation and Training Solutions, Cedar Rapids, Iowa, is being awarded a $13,708,435 modification (P00001) to a previously awarded firm-fixed-price, cost-plus-fixed-fee contract (N61340-17-C-0014) for the production of an E-2D Delta Software System Configuration No. 3 software baseline for the E-2D Flight and Tactics Trainer, upgrades to the Point Mugu, California, Software Support Station, Brief/Debrief Systems, operations center, and classrooms to achieve an authorization-to-operate Cyber Security stance. This modification is in support of the E-2D Hawkeye Integrated Training Systems (HITS)-III Engineering Change Proposal No. 1. Work will be performed in Sterling, Virginia (70 percent); and Point Mugu, California (30 percent), and is expected to be completed in December 2020. Fiscal 2017 research, development, test and evaluation (Navy) funding in the amount of $4,971,821; fiscal 2017 aircraft procurement (Navy) funds in the amount of $9,300,735; and fiscal 2018 aircraft procurement (Navy) funding in the amount of $2,065,536 will be obligated at time of award, $4,971,821 in which will expire at the end of the current fiscal year. The Naval Air Warfare Center Training Systems Division, Orlando, Florida, is the contracting activity. The Scale People, Columbia, Maryland, has been awarded a maximum $19,395,495 fixed-price with economic-price-adjustment, indefinite-delivery/indefinite-quantity contract for hospital equipment and accessories. This is a five-year contract with no option periods. This was a competitive acquisition with 31 responses received. To date, this is the eighth contract awarded from standing solicitation SPE2DH-16-R-0002. Location of performance is Maryland, with a Dec. 10, 2022, performance completion date. Using military services are Army, Navy, Air Force, and Marine Corps. Type of appropriation is fiscal 2018 through 2023 defense working capital funds. The contracting activity is the Defense Logistics Agency Troop Support, Philadelphia, Pennsylvania (SPE2DH-18-D-0001).